You may have encounter this error while installing a Windows Service or loading a project in Visual Studio. If the file that you’re installing or loading has been downloaded from the internet in the zip format then there’s an easy fix. 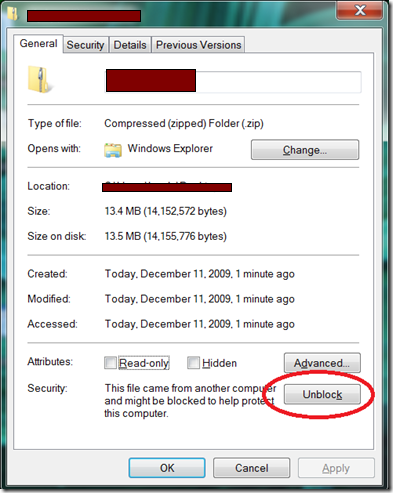 Just go back to the ZIP file you downloaded, select properties, then “unblock” the content. Then extract the contents and rerun it. Everything should work fine.